Want an easy and quick way to donate money to Haiti? Well head to Xbox Live and play a few games of Halo. As one of the poorest nations in the world, Haiti needs all the help it can get following the earthquake that shook the country earlier this week. If you're a little strapped for cash but still want to donate money to the relief efforts for Haiti, then Bungie might just be able to help you out. 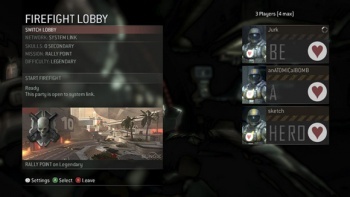 By changing your icon to a heart in a circle - as shown on the right - and playing one of the multiplayer modes on Halo 3 or ODST on this coming Wednesday or Thursday. For every player that does this, Bungie will donate ten cents to the Red Cross, up to a total of $77,000. More information about the Bungie's event can be found on its blog, or you can buy one of these shirts, if you want to make a bigger donation.